Watsons Philippines just launched their newest beauty, health and wellness campaign called "Time To Renew" and reminds us to take time to take better care of ourselves - to Restore, Rejuvenate, Recharge and Renew ourselves despite our busy lifestyles. It's time to get back on track health wise by Restoring beauty with proper skin care, Revitalizing our tresses with the best hair care products and Recharge our health to energize our bodies so we can do more of the things we love. With our busy schedules and lack of sleep, our skin also tend to be affected as well, it becomes prone to blemishes, become dull, dry, acne or pimple prone or oily. Help Restore your skin's glow with tried and tested beauty products from Watsons such as Pond's, Olay, L'oreal, Belo, Celeteque, Neutrogena, Snow, St. Ive's, Suave, Bellic, Glutamax, Shulammite soap, Cosmo Skin and Nivea Men crème. Sometimes, when we are in rush, we forget to properly take care of our tresses as well. Our hair needs to be washed thoroughly with a reliable shampoo so that all the oil and hair products are totally washed off and give way to healthier looking hair. Plus, our hair also needs protection from the sun, the styling tools that we use and sometimes even as simple as applying a daily conditioner is skipped when it's crunch time. There are also times that our hair needs special attention such as treatment for falling hair or simply a color change. Find the right product for your hair at Watsons with products like Tresseme, L'Oréal, Dove and Moringa. When the going gets really tough, sometimes even our eating and exercise habits are taken for granted as well. But if we skip health meals and neglect a healthy exercise regimen to keep our bodies in tip top shape, it would definitely mean that we will lack the right nutrition and the energy we need to keep us going. But with Watsons healthy solutions such as Cosmo Cee, Poten-Cee, Met Tathione, IVI Collagen, Myra E, Stresstabs, Belo Glutathione, Snow Caps and Kilo-Off, we can have a healthier lifestyle and get back in shape faster. 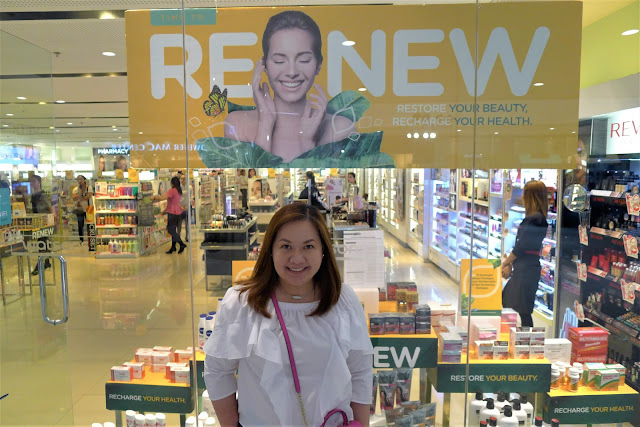 Head on over to a Watsons near you because It's time to Renew! For beauty, health and wellness updates, find Watsons on Facebook.